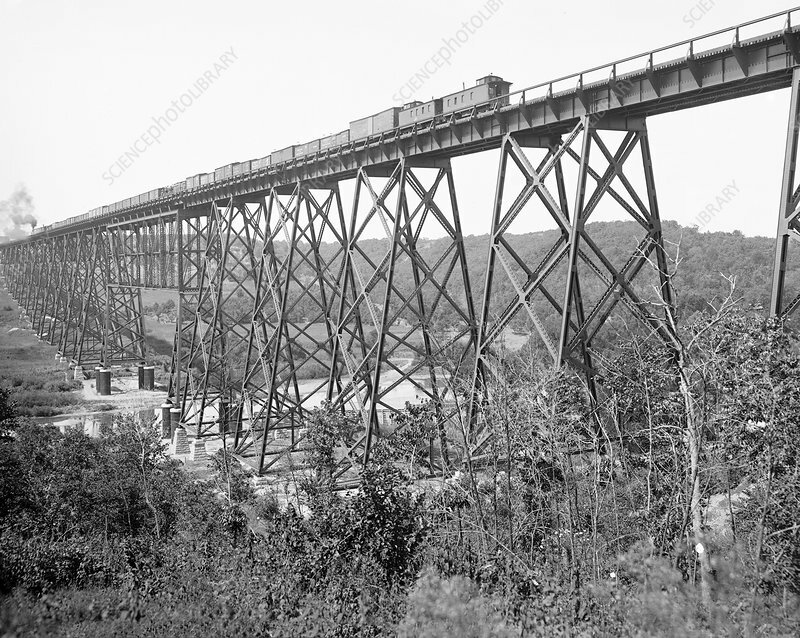 Railroad viaduct near Boone, Iowa, USA, passing over the Des Moines River. This steel viaduct (22 towers) was built from 1899 to 1901 for the Chicago and North Western Railway by the US engineer George Shattuck Morison (1842-1903). It is 56 metres high at the point where it passes over the river (centre left), and is 818 metres long. It was closed in 2009, with trains now running on a replacement viaduct built beside it, though the original structure is still standing as of 2012. This photograph, by US explorer and survey photographer William Henry Jackson (1843-1942), is from the Detroit Publishing Company. It dates from around 1901.